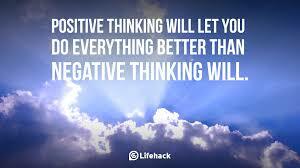 INSPIRATIONAL MONDAY...THE POWER OF POSITIVE THINKING - Onome Talk Am! 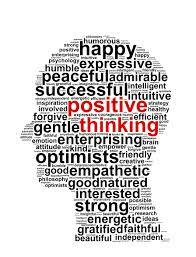 Every now and then, you’ve heard a person admonishing another to always think positive and if you are like me you want to imagine yourself in the admonished shoes and want to know what you would have done and if it is really true and easy to think positive. You look around you and you are faced with one form of challenges or the other,there seems to be nothing to live for and the future appears bleak and yet you are being asked to think positive.I am certain you will be tempted to chase the one admonishing you as far away as possible. To be frank with you; I am not going to tell you that it’s going to be so easy to get your positivity on in the face of challenges neither will I criticize you if your hope is fainting when it seems as though the problems of the whole world rests comfortably on your shoulders. Come to think of it, how can one fathom a situation when after graduating from a tertiary institution with an enviable grade with lots of folks applauding your academic achievements and still not able to find a good job three years after.I wouldn’t even want to imagine a situation where your parents gathered all they can and sold every properties and valuable just to see you through school because they believe in your intelligence with the hope that once you are done schooling and get a job you can cater for them and your siblings. I know the feeling of disappointment that comes from these kinds of situation; you may even begin to think that you have been bewitched when you see friends you are brighter and much more intelligent than achieving lots of things for themselves, some may even be working in the choicest conglomerates around and then you become frustrated and start saying negative things about yourself. Can I tell you something? Each and everyone of us have been at this stage at one point or the other; but do you know that the way you handle challenges is directly proportional to your overcoming the challenges and coming out stronger and better? The greatest injustice you can do to yourself is to write yourself off; have you sub-consciously ever said I am tired of trying again because you feel you already know the outcome of your attempts? Do you also know that you are what you think of yourself? Perhaps your favorite words have become “I can’t, I probably wouldn’t be able to or I don’t think I can; you may have said …, hmmm, let me just try with the mindset of a potential failure when you haven’t even started. 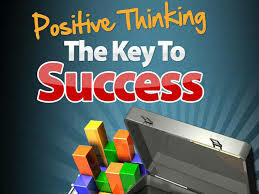 The power of positive tthinking can never be overflogged, it is your belief that affects your being.Do you remember when President Barack Obama was having his campaign? Can you remember his slogan? 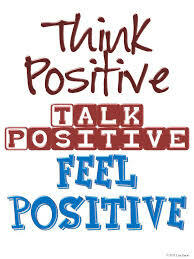 It was “yes we can…That there is positivity personified.Can you feel the assurance in those short and simple words? Do you remember he actually won the election to become the president of the most powerful nation in the world? Talk about the power of positivity. You allow yourself to sink deep in the ocean of self-pity;you are sitting down and folding your hands, which do you think is worse? Accepting defeat and leaning towards negativity or taking the bull by the horns and launching forward to try again. Has someone ever mocked you and told you that you can’t ever make in life? You let the person’s word weigh you down when you are supposed to look him straight in the face and tell him you can and will make it as a matter of fact. Remember what the holy book,The Bible, says about a man’s thinking? It says “As a man thinketh in his heart so he is.No matter how many times you have tried and failed,never stop being positive and do not forget that you are your number one encouragement.Never allow what others think of you to define you;you will succeed, all you have to do is to have a positive outlook to life and every challenges you are faced with. Pingback: THE UNPREDICTABLE JOURNEY OF LIFE | Onome Talk Am!